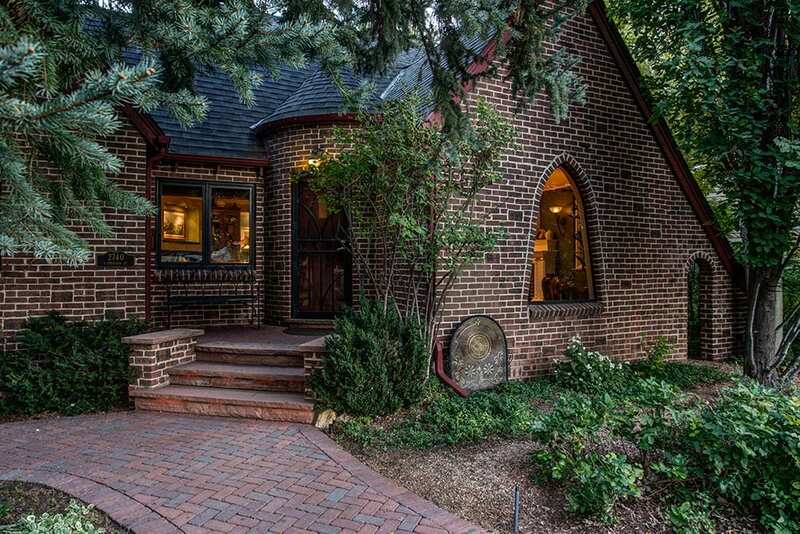 Masterfully designed, this expanded brick Tudor is a rare find! Situated on a quiet cul-de-sac in the renowned Mc Clairs Forest Hills neighborhood, the privacy this property offers is astounding. Boasting magnificent curb-appeal, this historical masterpiece was brilliantly expanded from its original footprint to an awe-inspiring 3,600 square feet of impeccably designed living space. Strategically planned, the flooring, textures and overall design were precisely matched to the original detail of the home. Upon entry, the formal dining room offers a glimpse of the home’s classic Tudor revival style architecture with coved ceilings, Moorish inspired windows and archways, and a grand fireplace. Adjacent to the dining room, find a comfortable sitting room, a wonderful place to unwind next to the cozy, gas fireplace. Just beyond, the custom-designed European country-style kitchen embodies an unfitted look while providing a well-organized interior and stylish, timeless exterior. Highlights of this distinguished space include: high-end appliances comprised of Sub-Zero, Thermador, Miele, Wolf and Sharp, a stylish combination of Palladio Granite, Teak wood and Italian Quartzite, and exquisite cherry and maple Crystal cabinetry that seamlessly transition between various distressed finishes, creating a warm, inviting space. Open to the family room, this astonishing 600 square foot space presents endless opportunities for entertainment: from large gatherings to dinner-for-two and everything in-between. Creating a multi-purpose space conducive to numerous activities inspired the remarkable expansion design. Situated just off the family room and kitchen, a versatile butler’s pantry is the perfect addition to this entertaining space. Unique in many ways, this fabulous room serves as a beverage center, butler’s pantry and an all-purpose mud room featuring a Sub-Zero 30” beverage refrigerator with bottom freezer, a towering Häfele pull-out pantry, Wood-mode custom cabinetry, exposed brick and custom lighting. Also encompassed on the main level are two sizable bedrooms and a full hallway bathroom. Upstairs, escape to the private master addition boasting an en suite bath, an impressive walk-in closet and views of the captivating backyard oasis. Beyond French doors, the custom-designed bathroom showcases separate his-and-her vanities, intricate crown moulding accents, dual linen closets and exquisite finishes: a true retreat! Plenty of room to spread out in the finished garden-level basement. The multi-use rec room features ample built-in cabinets, creating an ideal home office space. Exposed brick accentuates the versatile flex space that flows effortlessly into the generous exercise room. Also residing on the lower level is the third bathroom and an incredible amount of storage space. The location of this home delivers a truly exceptional experience. Enjoy absolute serenity within the intimate, tight-knit community while maintaining walkability to Porter Adventist Hospital and close-proximity to several parks, University of Denver, an array of dining options and quick access to I-25 and Hwy 85. Rest easy with a brand new upgraded, impact resistant roof. Additional dedicated parking can be found in the expansive driveway. Ample room to expand the garage to an oversized two-car. Do not miss out on your chance to own an extraordinary home in a phenomenal neighborhood!